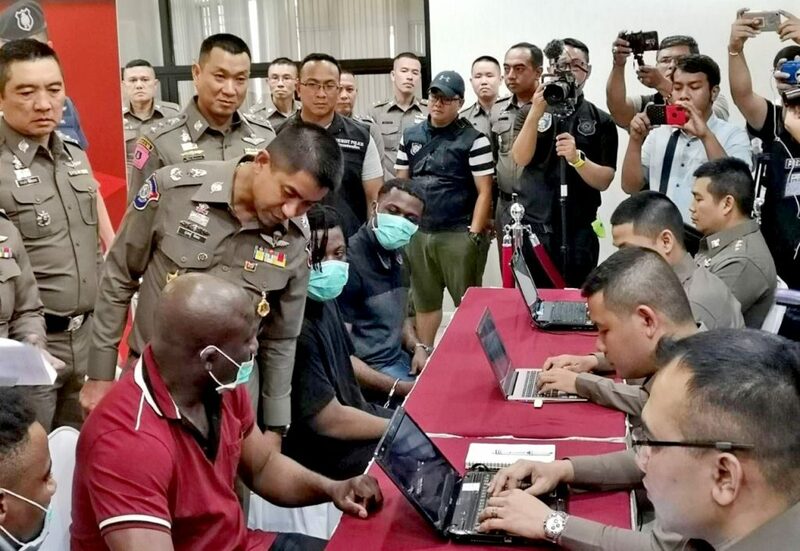 Nigerian nationals are again being rounded up in a concerted effort to get rid of some of the Nigerian-based scams operating inside Thailand. 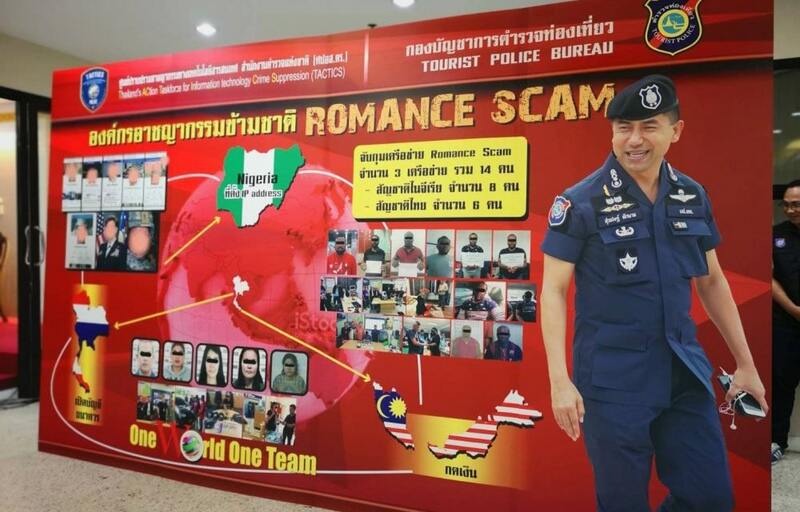 In the latest sting, 8 Nigerians and 6 Thai suspects have been arrested for alleged collusion in an online romance scam, swindling nearly 2 million baht from Thai women in Ratchaburi, Samut Sakhon, Phitsanulok, Chon Buri and Bangkok. 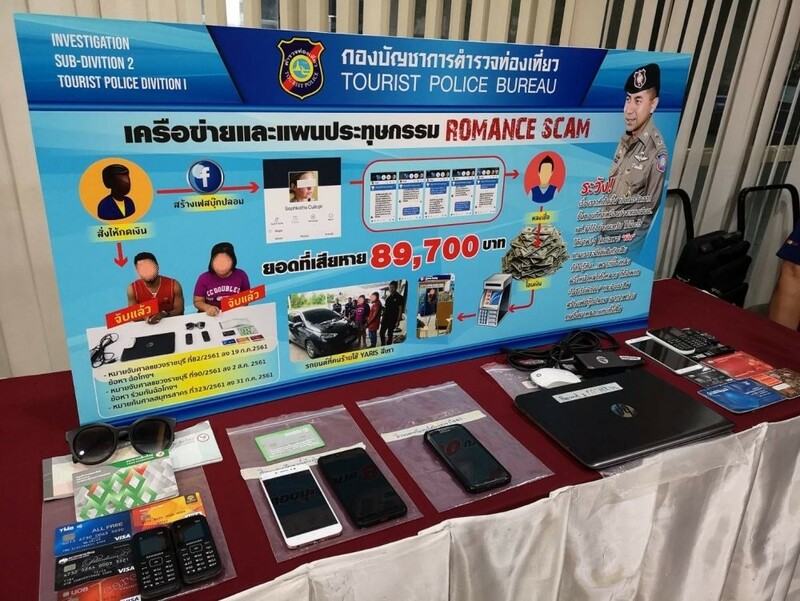 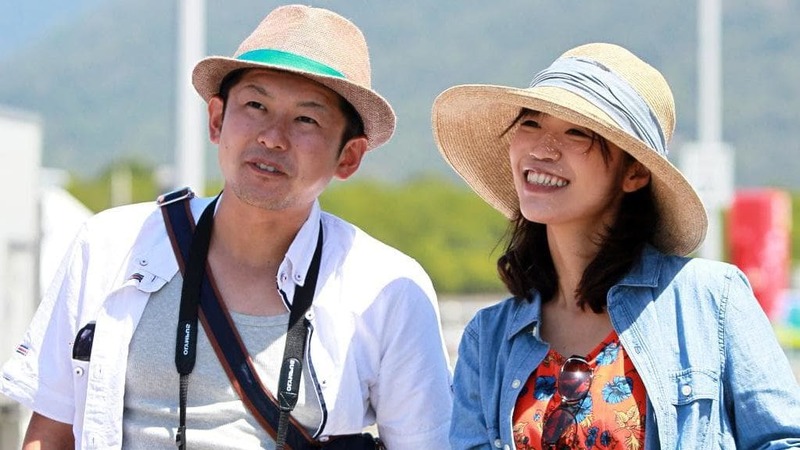 Deputy Tourist Police chief Maj-General Surachate Hakpan says that the investigation began after complaints from victims – each of whom wired between 300,000 and 500,000 baht to the gang. 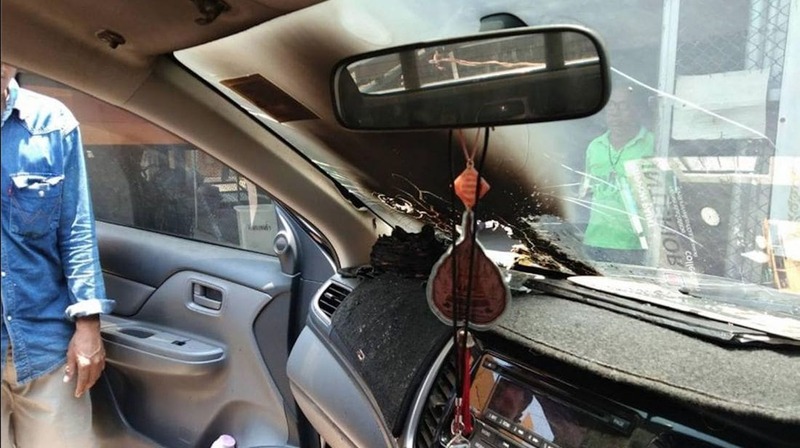 He says that the Thai suspects, including at least four Thai women, aided the gang by opening bank accounts and withdrawing cash for the foreign suspects. 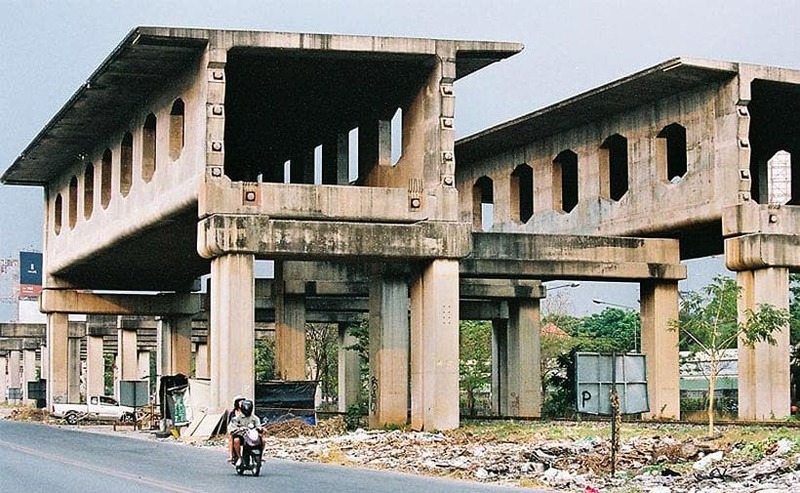 Despite the Thai suspects’ claims of innocence, Maj-Gen Surachate says they would face a charge of public fraud and abetting trans-national crimes, which is punishable with up to 10 years imprisonment. 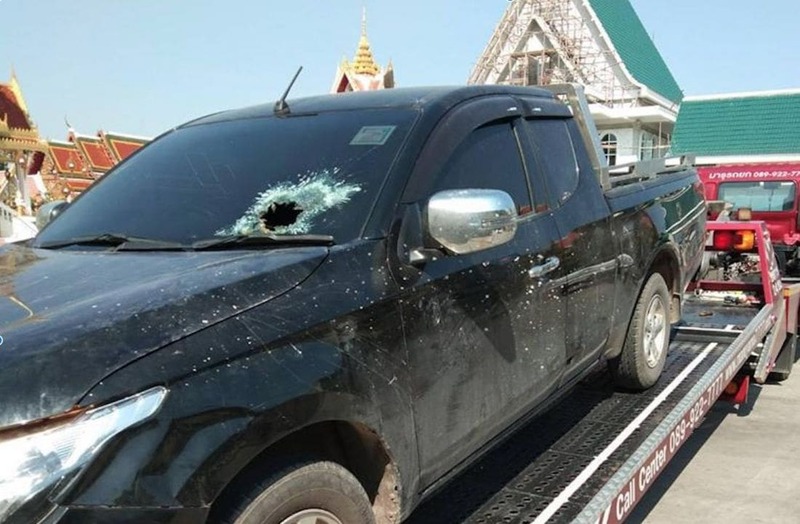 In an unrelated case, Surachate said that police were investigating loan sharks that preyed on some 100,000 villagers in Thailand’s North-east. 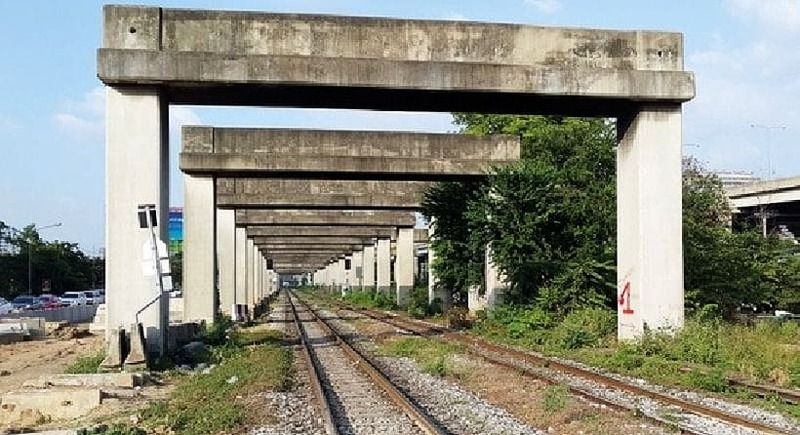 By the end of this month, police should be able to return some 2,000 rai of farmland back to farmers that had been seized by loan sharks, he said.